The International Conference on Complex Systems (ICCS) creates a unique atmosphere for scientists of all fields, engineers, physicians, executives, and a host of other professionals to explore the common themes and applications of complex systems science. In June 2006, 500 participants convened in Boston for the sixth ICCS, exploring an array of topics, including networks, systems biology, evolution and ecology, nonlinear dynamics and pattern formation, as well as neural, psychological, psycho-social, socio-economic, and global systems. This volume selects 77 papers from over 300 presented at the conference. 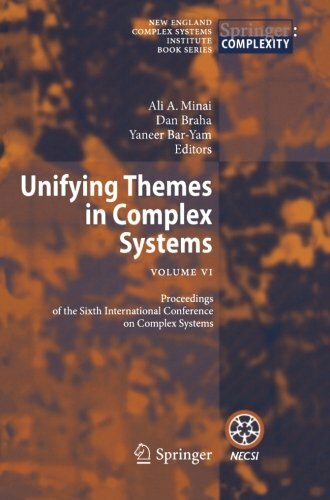 With this new volume, Unifying Themes in Complex Systems continues to build common ground between the wide-ranging domains of complex systems science.